Around 7000 years ago, as legend has it, a Babylonian courier “accidently” discovered how to make wine when he left some grape juice unattended and it fermented. Shortly after that fortunate mishap, people discovered how to make vinegar. Initially vinegar was used as a food preservative, but people eventually found all sorts on interesting ways to use vinegar. Hippocrates was said to have used vinegar to treat wounds and other ailments. Hannibal supposedly used vinegar to dissolve boulders that impeded his army’s path. Cleopatra even used it to dissolve pearls for her “love potion” that she gave Mark Anthony. 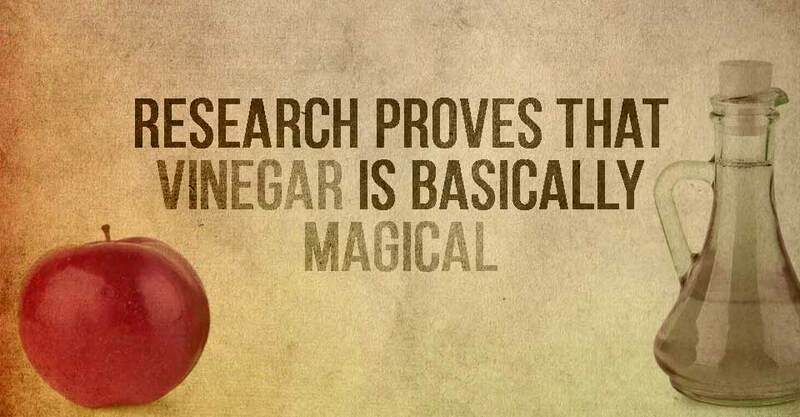 Even if you don’t have an army to march or the need for a love potion, vinegar can still do amazing things. Vinegar, which comes from the French vin aigre – literally means “sour wine”, and for good reason. Essentially, vinegar is made the same way as wine. Vinegar can be made from almost any fermentable carbohydrate source, including wine, molasses, dates, sorghum, apples, pears, grapes, berries, melons, coconut, honey, beer, maple syrup, potatoes, beets, malt, grains, and whey. The process includes adding yeast to the source and letting the sugars ferment into alcohol. Then, acetic acid bacteria (Acetobacter) converts the alcohol to acetic acid. This fermentation process can be sped up for commercial vinegar production, but when you allow the process to happen slowly – something interesting happens. The longer the fermentation process takes the more a nontoxic slime composed of yeast and acetic acid bacteria forms. This cobweb-like slime is known as the “mother of vinegar”. When you get a large accumulation of “mother of vinegar” you generally end up with harmless, non-parasitic nematodes called Vinegar Eels. Because of this, vinegar is filtered and pasteurized before it is bottled to be sold, but certain varieties of vinegar have the “mother” intact. Why? Aside from being great food for micro worms, the “mother” of vinegar contains special proteins, enzymes, and friendly bacterias. When most people hear the word cider, they think of either the alcoholic beverage variety or the mulled variety that is so popular this time of year. Cider is actually a term that is used to describe raw, unfiltered, unsweetened juice from pressed apples. Fermenting that cider is what leads to apple cider vinegar. Because the original source of the vinegar defines the nutrient content, apple cider vinegar has a wide variety of health benefits from the nutrients in the apple and the power of vinegar in its base form. I know, when it comes to popular medical fads apple cider vinegar always seems to come up because it is proclaimed to be a cure-all. The truth is, it actually has a lot of medical benefits. So, now that we’ve established that vinegar is really good for you, we come to the question: “how do I get it in me?” With apple cider vinegar, it can be as easy as mixing it with a glass of cold water in the morning. Then there are the “vinaigrettes”. A vinaigrette is a sauce made by mixing vinegar, oil, spices, herbs, and other seasonings. The awesome thing about vinaigrettes is that they are as versatile as they are easy to make. Here are 8 variations on vinaigrettes that you can use on just about anything you eat. Personally there is nothing I love more than just a bowl of sliced cucumbers and tomatoes with a drizzle of balsamic vinaigrette. As amazing as vinegar is for your health, you owe it to yourself to try to incorporate it wherever you can in your daily routine.